Our group came away from the San Francisco Inman “Real Estate Connect” tech conference with the feeling that Realtors are truly grasping the importance of lifestyle search technology. 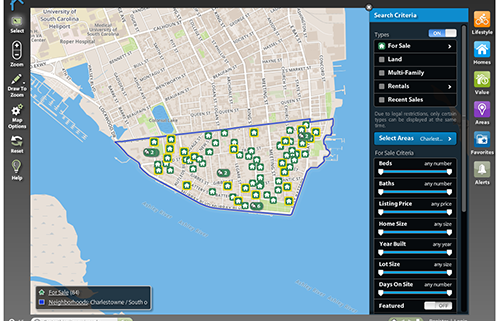 SpatialMatch had an exhibit located in an area called Start-Up Alley where we were able to display in person our extensive, geo-spatial lifestyle search platform available for Realtors to add to their websites. We had hundreds of visitors. Realtors at the show knew that they needed to be able to provide lifestyle search technology to homebuyers that showcases the lifestyle amenities that they seek in their lives. Homebuyers don’t just want a house, they want a neighborhood that provides them with great schools, a close by gym, or a park where they can get out and play. To stay on the cutting edge, a real estate agent has to know how to find the properties that fulfill these needs, quickly and in a visual way that homebuyers can comprehend. That’s where SpatialMatch’s lifestyle search technology comes in. One of the best responses our group continued to hear from agents was how impressed they were with the incredible amount of data behind the scenes driving the SpatialMatch searches. 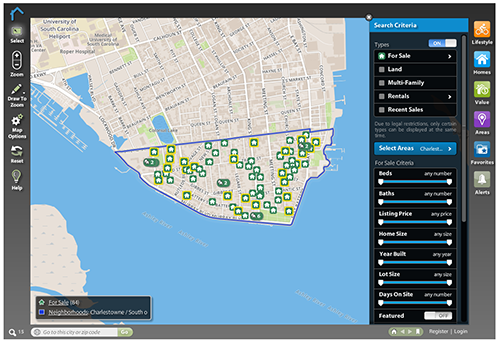 We’ve literally loaded over a billion data elements into our platform including 60 million properties, 12 million business listings, details about 130,000 schools, shape files of all sorts, Home Value Reports, and more. Our VP Grant Gould also spoke during the “New Kids on the Block” panel of the conference. Only six companies were invited on stage to give a brief description of their companies. (You can see the video at http://www.inman.com/video/connect/2010/07/14/new-kids-block). When all was said and done, even with all the hassles of scheduling, traveling and presenting jammed into just three days, the enthusiastic feedback from potential customers made it all worthwhile!